Anyone who thinks U.S.-led “arms inspections” or “disarmament” represents a step in the right direction or is anything other than another form of imperialist intervention and bullying needs to study and think about the lessons of Operation Desert Fox. That night, the U.S. and Britain launched a four-day cruise missile and bombing campaign against Iraqi targets code-named Operation Desert Fox. They did so without Security Council authorization and, for over 100 hours, lashed Iraq with 415 cruise missiles and 600 laser-guided bombs. That members of the United Nations Special Commission (UNSCOM) charged with carrying out weapons inspections (37 percent of whom were U.S. personnel) also spied on Iraq—including planting covert, high-tech listening devices to monitor Iraqi government and military communications, including Saddam Hussein’s movements. That Richard Butler, the head of UNSCOM in 1997-98, talked with President Bill Clinton’s National Security Advisor Sandy Berger on a daily basis. Butler even cleared his reports with the U.S. UNSCOM inspectors when they conducted surprise inspections (violating protocols worked out with Iraq) aimed at provoking confrontations, which were then seized upon by the U.S. to claim Iraq was not complying with inspections. That while Butler’s mid-December report to the Security Council charged that weapons inspectors had made “no progress” during the previous month, the body of the report could cite only five incidents—out of 300 inspections—when there had been any controversy. That U.S. objectives were not simply disarming Iraq, but weakening it as a regional power and overthrowing Saddam Hussein as part of maintaining U.S. regional dominance. That the U.S. was illegally “concentrating” on assassinating Saddam Hussein: Desert Fox’s targets included homes where the Iraqi president was thought to spend time with mistresses. According to the New York Times, some of the targets were “selected from data gleaned by the American-led espionage” operations utilizing arms inspections. In short, Clinton deliberately lied about what the U.S. was doing and why to excuse, justify and cover up U.S. aggression and war crimes. His lies weren’t fundamentally different than Bush and Cheney’s in 2002-2003; they helped pave the way for the 2003 U.S. invasion of Iraq. This article was originally published on revcom.us. 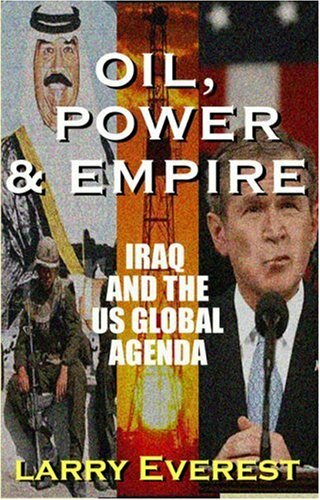 For an extensive discussion, see Larry Everest, Oil, Power & Empire: Iraq and the U.S. Global Agenda (Common Courage 2003), Chapter 7, “The Great WMD Flim Flam,” pp. 200-204.